Sisters are special. Of course, we would say that. This blog is, after all, run by sisters. But the sisterly relationship can also be very complicated. That's certainly the case with the sisters in this post. Complications and secrets abound. Nell began her life calling herself Nellayla because she always felt connected to Layla, her older sister. Nell's freshman year at City Day is when things get complicated. Everything is good until she begins to hear rumors about her sister. 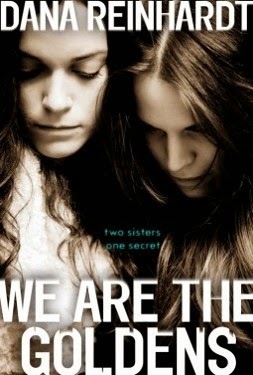 Layla confides in her and she promises to keep her sister's secret, but at what price? I enjoyed Dana Reinhardt's choice of point of view in We Are the Goldens. The whole story is told from Nell's perspective, but she's addressing her sister the whole time. I thought it gave the book an interesting flavor. The ending felt very abrupt to me, I think because the whole story carried a tone of foreboding and I was waiting for something truly tragic to happen. Because of that, I had a hard time putting down We Are the Goldens. Leonora (Leo) and Paris live in less-than-ideal circumstances in Las Vegas with their mother and new stepfather. Paris, the vibrant sister, is an artist and a dreamer. Leo, the more practical of the pair, is determined to become a doctor. The two have always relied on one another. Deeply. Emphatically. Which is why Leo panics when her sister disappears from a late-night pie run. Paris has left clues around the city urging Leo to find her and hinting at something more sinister than a late-night prank. Joy Predle creates enough tension to keep the reader on edge. However, despite my anticipation of the big reveal, I didn't find myself quite as invested in the experience as I would have liked. Everything about it is solid. It's just missing a real "wow." 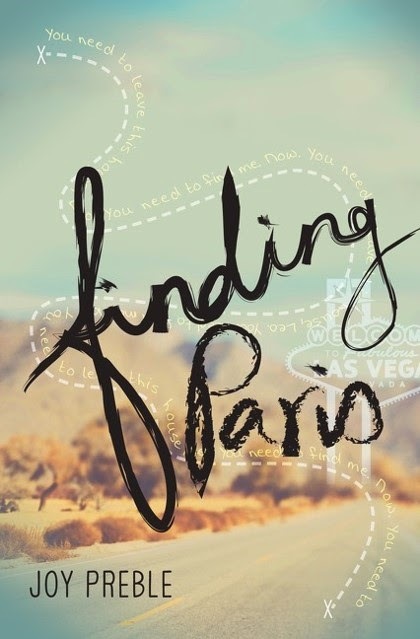 Finding Paris is out April 21st. Review copy from Edelweiss. Despite their differences, Nick (short for Nicole) and Dara have always been especially close sisters. That is until a horrible accident changes things. Now everyone is tiptoeing around Nick, and Dara won't speak to her. Lauren Oliver always wins me over with her writing. She knows how to use words to their full potential. Vanishing Girls is a psychological thriller and, as with all psychological thrillers, it's best to go in without too much forewarning. 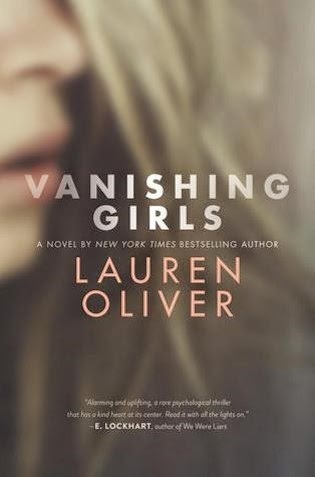 I was absolutely compelled to finish Vanishing Girls. I had to know if my suspicions were correct. I had to know what was so unsettling about Nick and Dara's relationship. I had to know what was going on with Parker. Vanishing Girls is out March 10th, 2015. Review copy from Edelweiss. Rio and her twin sister, Bay, live in the underwater colony of Atlantia. Rio has always dreamed of going to live Above, but after the girls' mother died, she promised Bay she would stay Below with her. On the anniversary of the Divide, Bay chooses to go to the Above and Rio is forced to trust her mother's estranged sister, Maire, to understand Bay's betrayal. 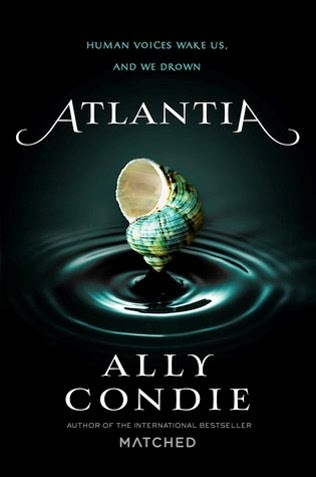 Ally Condie created such an interesting setting in Atlantia. The religion was well thought out and gave great color to the story. I liked that it wasn't a world without magic; there are sirens with the power to control people with their voices. The book started out a little slow for me, partially because I kept expecting Bay would narrate portions, but the whole thing is told by Rio. I did get into the story and enjoyed it. Allyson and Sydney Tate exist in a somewhat uneasy truce. Allyson is the perfect daughter. Sydney is rebellious and whip-smart. The arrival of Graham, the new neighbor, puts Allyson and Sydney back into each others' orbits. Neither can resist Graham. Allyson sees Graham with innocent eyes, but Sydney is suspicious of the newcomer. I read this haunting, psychological thriller in one sitting. As the reader gets deeper into the story it's evident that there is something not only off with Graham but also with the girls, and I needed to know. Enough clues are laid along the way to keep the reader interested without revealing too much too soon. 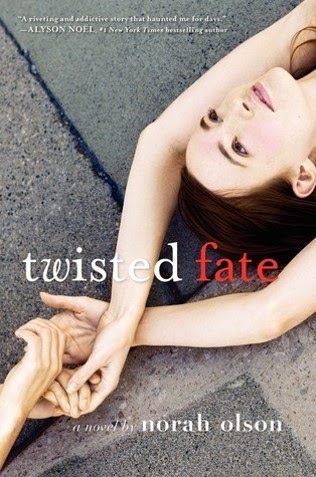 Twisted Fate is out January 20th. Review copy from Edelweiss. We Are the Goldens and Atlantia reviewed by Paige. Finding Paris, Vanishing Girls, and Twisted Fate reviewed by JoLee.